You may read more about the issue's disccusion here. 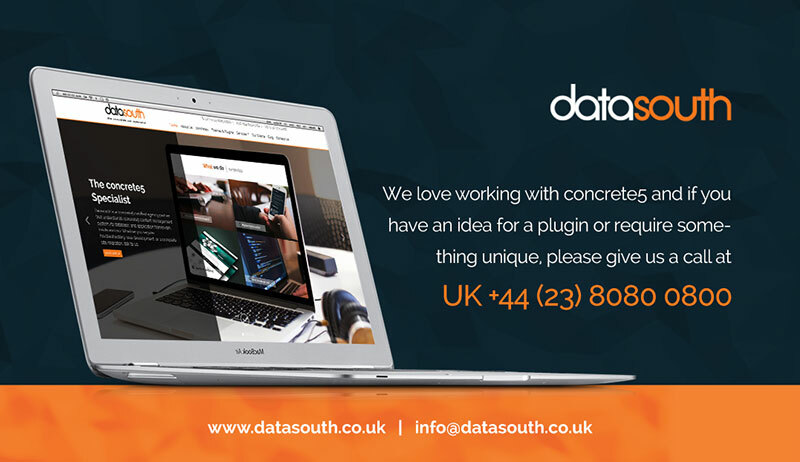 This Theme is fully Compatible with Version 8 of concrete5! 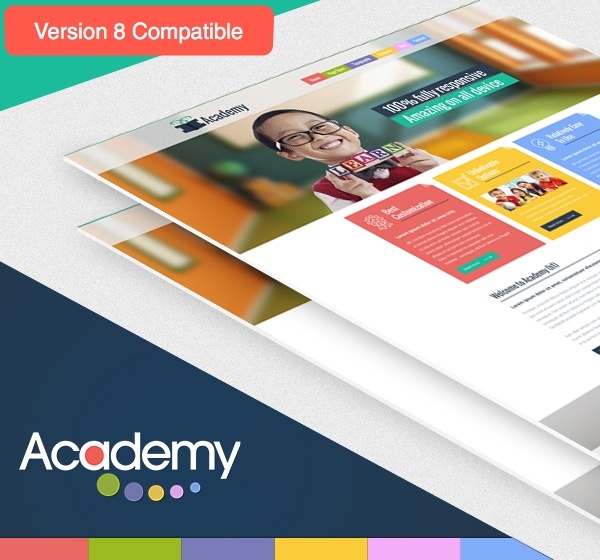 Academy is a bright fully responsive theme ideal for educational sites. The theme has a wide variety of layouts, pagetypes, elements, and typography to choose from. To add to these, it also features custom social link templates so your visitors can easily share news, events, and highlights from your website to their social media. 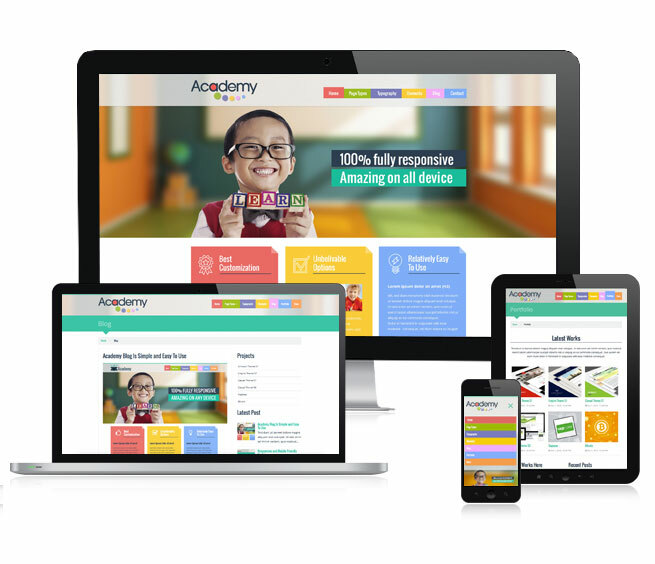 The Academy Theme renders perfectly on all devices due to its mobile-responsive features, made possible by well structured code and the Bootstrap framework.